Back in December 2004, I was really sick with the worst case of the flu. I missed 2 weeks of work because it was really bad (fever, vomit, couldn't eat, terrible). 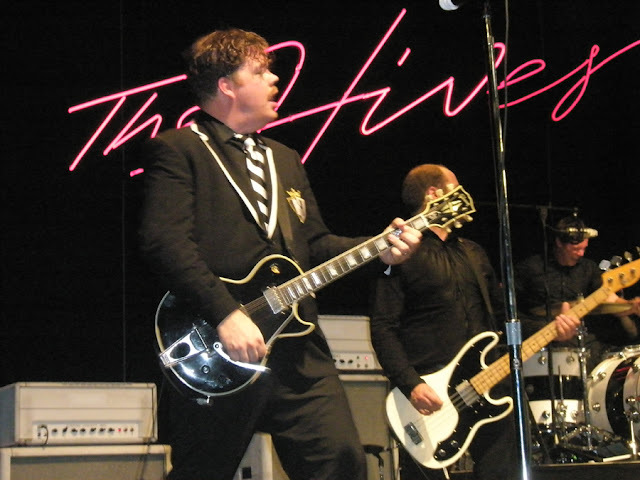 We had bought tickets to see The Hives at the Wiltern. I had never seen them before. There was no way I would miss the show despite my state. So we went. 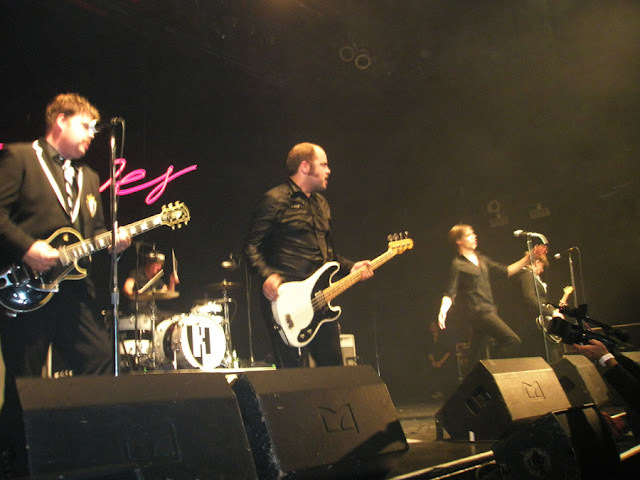 I realized that they were the best LIVE band EVER. THE best. 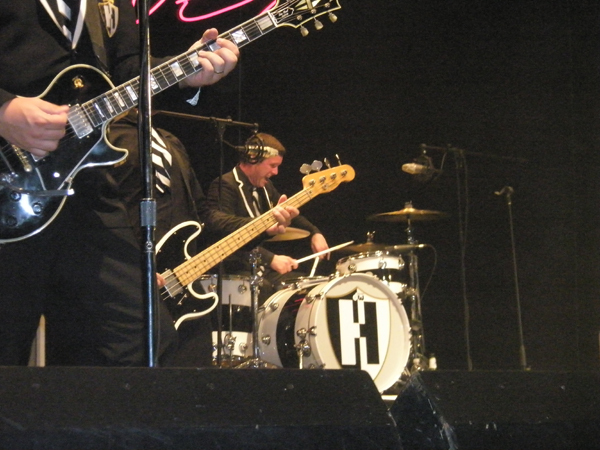 And I also realized that when the Hives play, dancing is an involuntary action for me. I had no strength but I danced so hard that I left during the encore in fear of literally collapsing and causing a scene. I came out to the lounge area and I totally fell to the ground. I had no energy left. 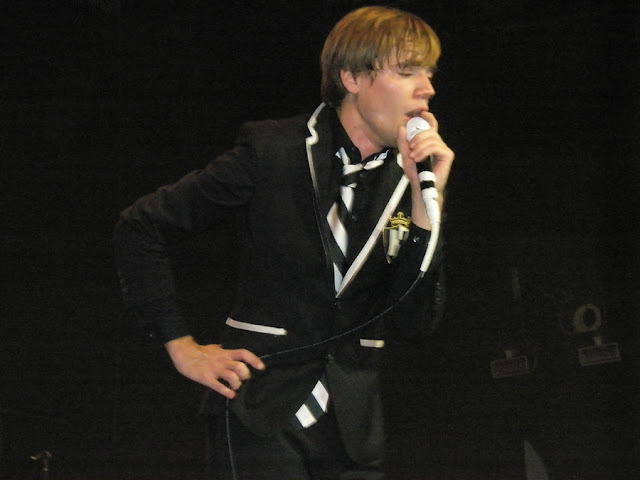 Yes, I can dance to the Hives even with a high fever. I'm so rock and roll. 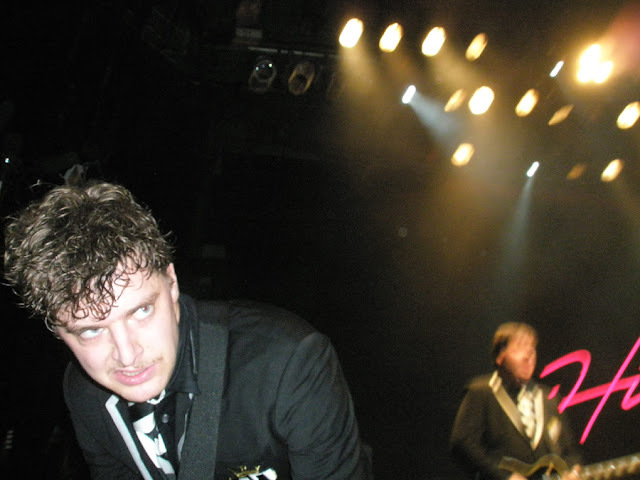 Well, you see how much I love The Hives. How excited am I about their new album? 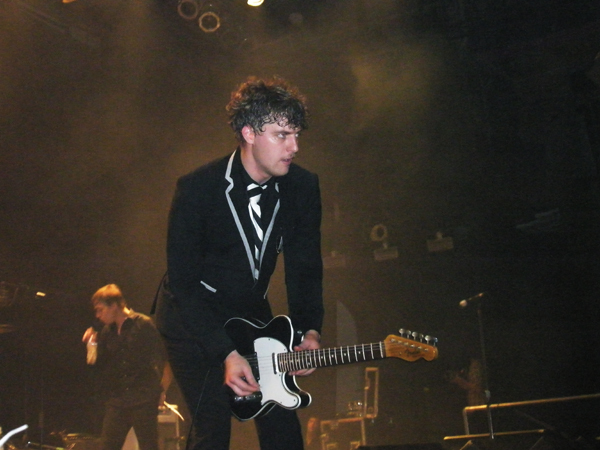 I went to see them last Wednesday at the Avalon. Luckily, I got to stand front row but off to the side. Only way I could survive with all those crazy fellow dancing fans. It just reconfirmed how awesome they are, and that they are truly the BEST LIVE PERFORMERS EVER. Hands down. They're so special. If you've been to see them, I think you know what I'm talking about. Best dance session. Awesome energy within the crowd. It's their music. It's just that good. I had so much fun that night. Everything about that night was PERFECT! Their stage presence..... I swear, they really are out of your league. No one will ever pass them.